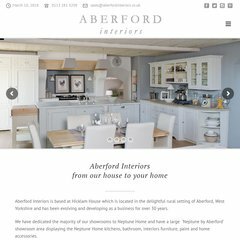 Topics: Kitchens, Interiors, Bathrooms, Accessories, and Farrow & Ball. The estimated 12 daily visitors, each view 3.00 pages on average. It is hosted by Internet On Demand Ltd (England, Manchester,) using Apache/2 web server. Its 2 nameservers are ns2.host.ancarb.com, and ns1.host.ancarb.com. The programming language environment is PHP/5.3.16. PING (194.145.241.18) 56(84) bytes of data.